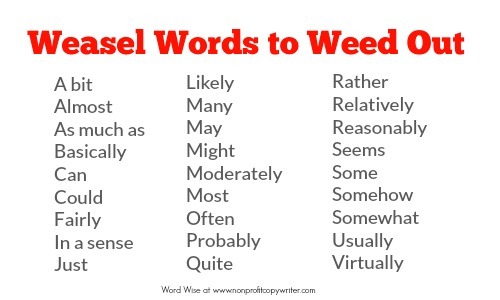 Writing Tip: Weed Out Weasel Words! You’ve probably done it. I mean … You HAVE done it. You’ve used weasel words in your writing. Weasels are words that equivocate. They are vague qualifiers like generally, most, and probably that weaken your writing. Writers use weasel words to avoid making direct statements. It is easy to miss weasels as you self-edit. You may think you can fudge your way through writing by using fuzzy language. You use weasels when you’re confused about your point or you’re not sure what you want to write. Ambiguous terms allow you to equivocate. The end result is that you get something on paper but it is weak or cloudy. You use weasels when afraid of making a bold statement. You may know what you want to write, but you lack the courage to do so … or you don’t have the depth to present a truth with grace. These words give you an out. You use weasels to protect yourself or to dodge taking a stand. If you don’t say anything, the thinking goes, you cannot be wrong. You can’t hurt people. You can’t make your readers angry. You can avoid criticism. Uncertainty, fear, deniability … is that what you want to be known for as a writer? 3. Read the resulting statement to see if it works. Write the strongest statement you can to take its place. 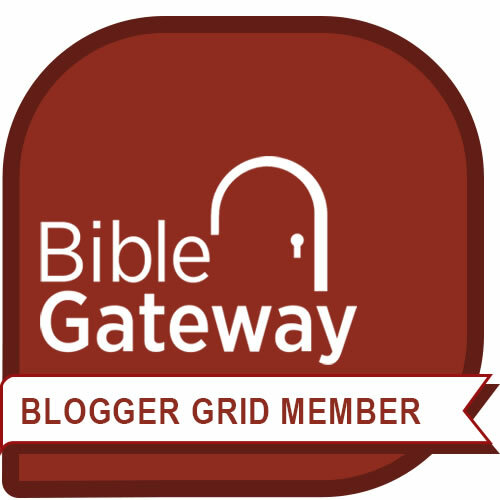 Remain truthful! Weed out weasels to write clearly, truthfully, and substantively. Your readers will thank you by continuing to read what you write. The term “weasel words” first appeared in a short story by author Stewart Chaplin titled, "Stained Glass Political Platform," published in The Century Magazine in June 1900. But it was popularized in a 1916 speech by former U.S. president Theodore Roosevelt.